With advanced double-peak or multi-period tracking technology, when the solar panel is shaded or part of the panel, causing multiple peaks on the I-V curve, the controller is still able to accurately track the maximum power point. An integrated power point tracking algorithm dramatically improves the energy utilization efficiency of photovoltaic systems and increases the efficiency of the load by 15% to 20% compared to the conventional PWM method. A combination of several tracking algorithms allows precise tracking of the optimal working point on the I-V curve in an extremely short time. 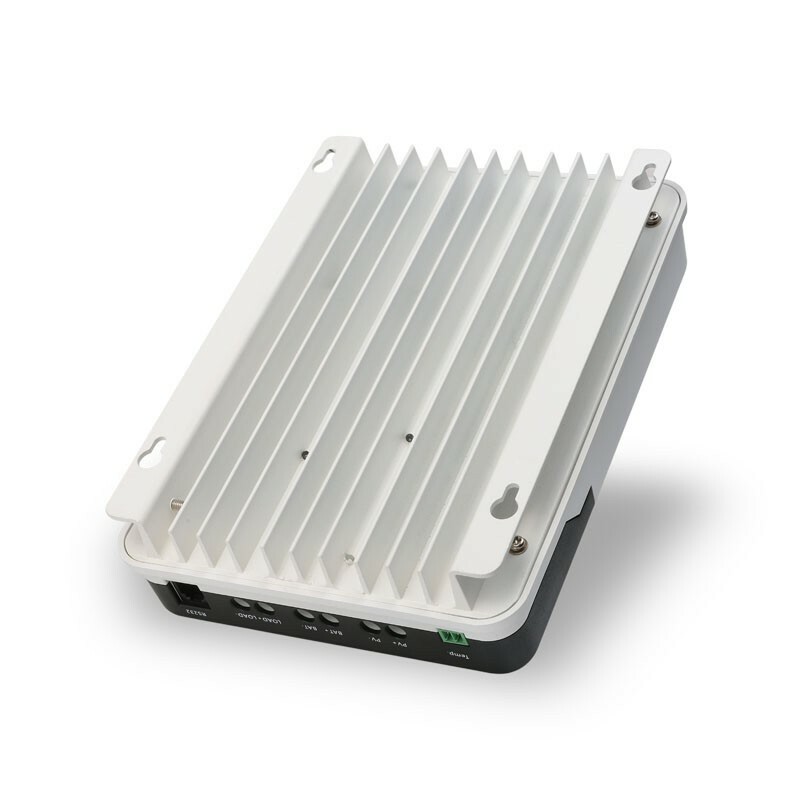 The product has an optimal MPPT tracking efficiency of up to 99.9%. Advanced digital power technologies increase circuit energy conversion efficiency up to 98%. The charging program options are available for different types of batteries, including gel batteries, sealed batteries, open batteries, lithium batteries, and more. The controller has a limited current charging mode. 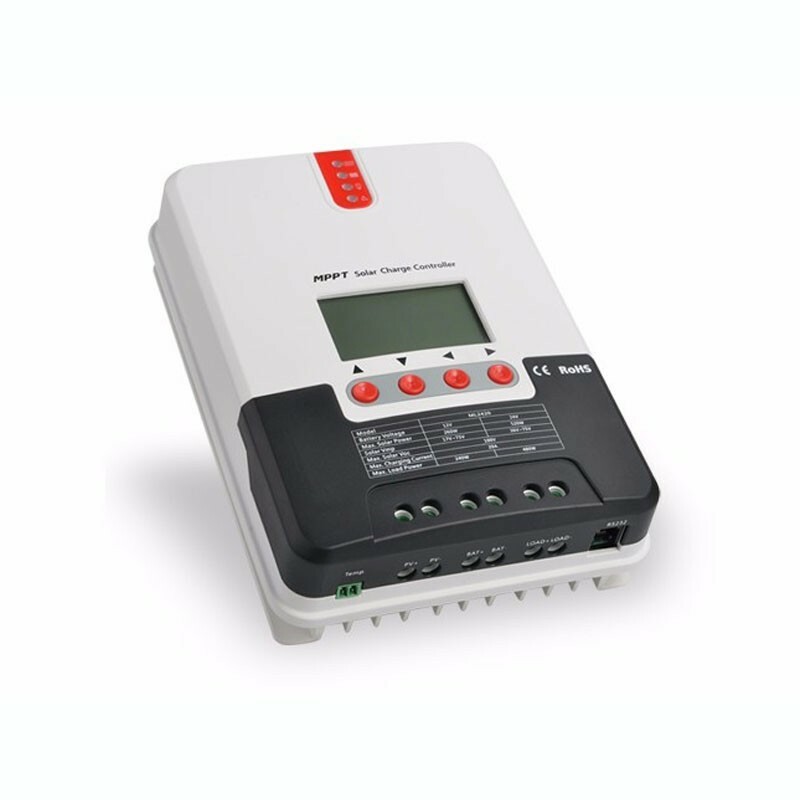 When the power of the solar panel exceeds a certain level and the charging current is higher than the rated current, the controller automatically lowers the load and brings the charging current to nominal level. Immediate start of a large capacitive charging current is supported. LED fault indicators and an LCD display that can display information in the event of a fault allow users to quickly identify system faults. The historical data storage feature is available and data can be stored for up to one year. 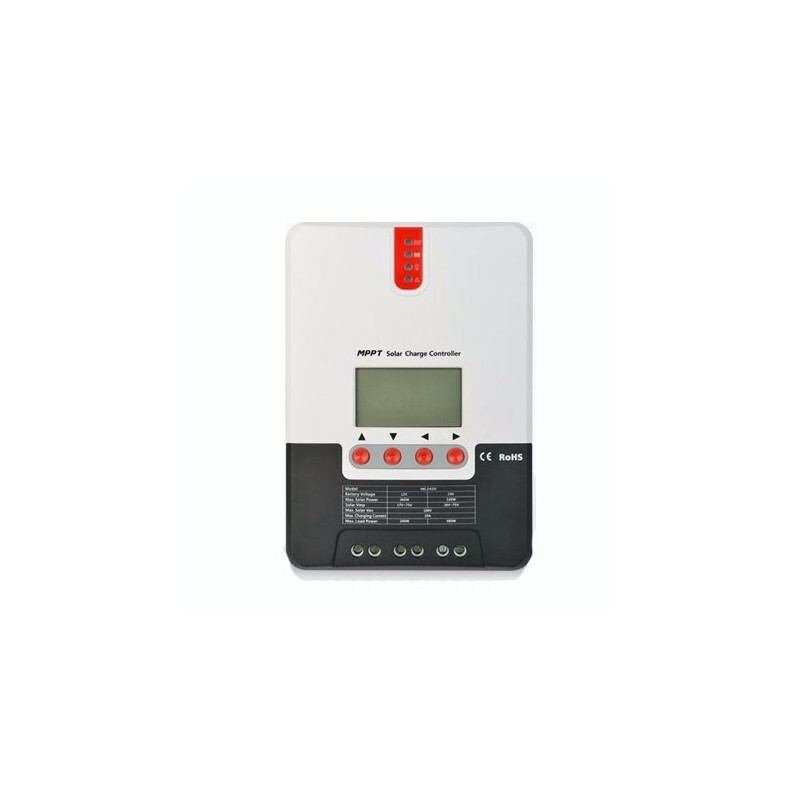 The controller is equipped with an LCD screen with which users can not only check the data and operating status of the device, but also change the controller settings. The controller supports the standard Modbus protocol, meeting the communication needs of various occasions. The controller uses an integrated overheating protection mechanism. When the temperature exceeds the set value, the charging current decreases in linear proportion to the temperature in order to slow the rise of the regulator temperature, thus preventing the controller from being damaged by overheating. With a temperature compensation function, the controller can automatically adjust the charging and discharging parameters to increase the battery life.